The reports of discrimination against Muslims have been featured on the news for decades. The most recent of these reports have been linked to the Chinese and their open discrimination against the Chinese Muslim Uighur population. According to UN officials, there are currently 1 million Muslims being held in the Chinese ‘re-education camps’ camps. The U.S. Congressional-Executive Commission on China have said that the situation is “the largest mass incarceration of a minority population in the world today.” The repression has become increasingly severe since 2017 and is showing no signs of ending any time soon. The reality that the Muslims face in Xinjiang is horrifying. The Human Rights Watch report issued by a Congressional committee on China revealed that the Uighur people are being subject to intense surveillance. Members of the minority population, with relatives in 26 “sensitive” countries have been detained. While in the reeducation camps, the Uighurs face “transformation through education”. While in these camps, reports reveal that the Muslims are being forced to undergo an indoctrination process which lasts several months. During this time, they are forced to live in unhealthy living conditions; undergoing regular violence, torture and brainwashing. According to a report in the Atlantic, the course forces the Muslims to renounce Islam, eat pork and drink alcohol, criticize their Islamic beliefs and recite Communist Party propaganda songs for hours every day. The reports are sickening and fill our hearts with anger. But we shouldn’t be surprised. The Chinese are being very open about their hatred towards Islam but so is the world. This latest attack against Muslims is an incident in a string of attacks including those against the Muslims in Rohingya and Yemen. At times like this, it’s important to remember the disbeliever’s hatred for Islam. Where are the Muslim countries? The question isn’t why do the non-Muslim regimes hate us; it’s why are the Muslim regimes not doing more to stop it? 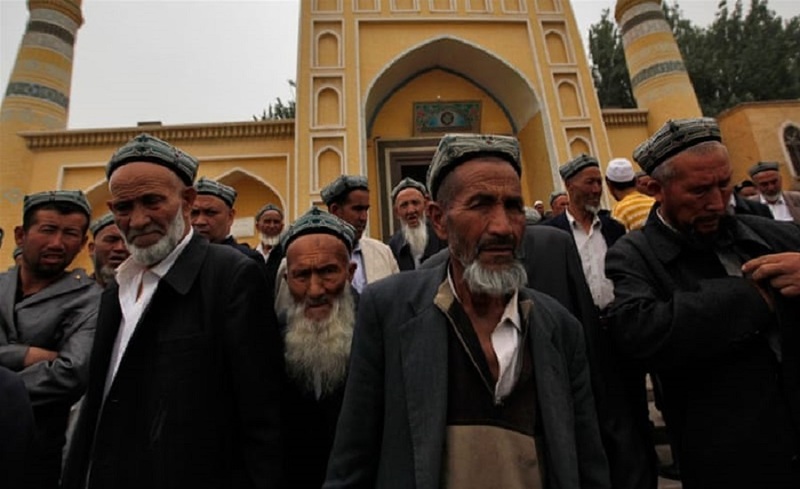 There has been international criticism against the Chinese decision to target the Uighur Muslim minorities, but no one has taken a step to stop it. Political analysts believe that the reason that the Muslim countries aren’t doing anything to stop it is due to financial concerns. They are scared that speaking out will put their economic relationships at risk. Economic relations which include the China’s Belt and Road Initiative (BRI), which many states in Central Asia and the Middle East are a part of, economic relations that include Chinese loans, accepted by countries like Pakistan. What’s worse is that the Muslim world isn’t just keeping silent, it’s helping the Chinese in their crackdown against the Uyghurs. Egypt, a country benefiting from the BRI, detained dozens of Uighur students without stating a reason and denied them access to lawyers and their families. Around the same time, Cairo deported around 12 Chinese Uighurs back to China (The Business Insider). Basically, once again, money is worth more than the lives of our Muslim brothers and sisters. Compare this with the story of the Muslim leaders of the past, under the Khilafah – the story of leaders like Khalifah Muttasim, who sent an army after one woman called out his name, when a Roman army attacked the city where she resided. He personally freed the woman after the Roman army was defeated. We can’t hope to protect our Muslim brothers and sisters under the current system. The Muslim Ummah needs to realize that we can not rely on the current system for safety and security. We need to re-establish the Islamic State, on the method of the Prophet, as it is only then that our Muslim brothers and sisters will receive the justice and safety which they deserve.